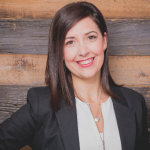 Dr. Jenny Campos (Toronto Rehabilitation Institute) is the Chief Scientist/Director at Toronto Rehab, and is also affiliated with the University of the Toronto. Her work includes studies of multisensory integration in stroke patients and athletes, understanding links between balance and hearing, and exploring self-motion through space. Her interests in naturalistic perception led to novel studies using both virtual and motion simulation environments. Dr. Campos is interested in exploring the audio-visual processing of naturalistic impact sounds to enhance our basic understanding of multisensory processing. Additionally, this will inform efforts to aid older adults with the kinds of perceptual tasks crucial for enjoying healthy, independent lives. 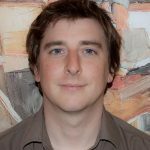 Dr. Ben Dyson (University of Sussex) is a cognitive neuroscientist collaborating to explore the role of temporal structure in the processing of tones with percussive vs. flat amplitude envelopes. This task involves using EEG to explore underlying neural differences in their processing, which will complement past lab findings using behaviour methods to explore the temporal structure of sounds by clarifying the neural underpinnings of their perceptual processing. The project grew of Raj Sandhu’s MA work in Dr. Dyson’s lab while at Ryerson. Dr. Russell Hartenberger (University of Toronto) is a founding member of the acclaimed percussion ensemble NEXUS, as well as an active member of Steve Reich and Musicians since 1971. He is collaborating to explore the interaction between performers attempting to desynchronize and re-synchronize while phasing. Having premiered the piece in 1971 and performed it hundreds of times around the world, his unique expertise and authority with Reich’s provides valuable perspective. 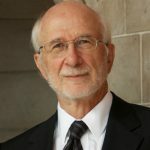 Dr. Hartenberger is currently Emeritus Professor of Percussion/Ethnomusicology at the University of Toronto, and a 1999 inductee into the Percussive Arts Society Hall of Fame. Dr. Frank Russo (Ryerson University) is a Professor of Psychology, Hear the World Research Chair, and director of the SMART Lab. He is also an Adjunct Professor at University of Toronto Faculty of Music, and an Affiliate Scientist at the Toronto Rehabilitation Institute. Dr. Russo is currently on the editorial board of five journals, serves as the President of the Canadian Acoustical Association, and was selected as winner of the 2016 International Commission for Acoustics Early Career Award. He is working with Dr. Schutz to explore the neural effects of repeated practice on percussionists’ brains to expand our understanding of the Action Observation Network (AON) by providing a musical complement to previous work with dancers. 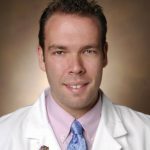 Dr. Joe Schlesinger (Vanderbilt University) is Assistant Professor of Anesthesiology and Critical Care Medicine at Vanderbilt University in Nashville, and researcher at the Center for Research and Innovation in Systems Safety (CRISS) . He is interested in using his extensive experience in patient care to improve the design of auditory alarms in medical devices. Although current alarms hold great potential for informing medical professionals of vital patient physiologic information, his personal experiences as an anesthesiologist has uncovered numerous challenges he hopes to address through work with our team. In addition to his MD (University of Texas – Houston), he holds a BA in Music (Jazz Performance) from Loyola University in New Orleans. 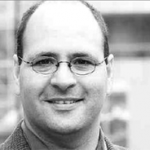 Dr. David Shore (McMaster University) is a multi-sensory processing expert collaborating to explore differences in strategy for estimating the durations of percussive and flat tones. This project arose out of informal discussions over previous lab findings that duration judgments of percussive tones are in fact no more variable than duration judgements of flat tones – despite that fact that their gradual offset suggests that they are more ambiguous with respect to duration. The goal of this project is to explore whether this might in fact indicate fundamentally different strategies for understanding the duration of sounds with different temporal structures. 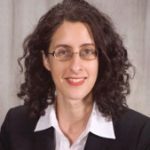 Dr. Laura Silverman (University of Rochester) is a clinical psychologist working with the lab to explore audio-visual integration in children with autism-spectrum disorder (ASD). Her NIH-funded project explores the level of processing at which sensory integration deficits originate. Autism experts have long recognized sensory integration disorder as a challenge for individuals with ASD. However, significant questions are now emerging with respect to the level of processing at which these difficulties occur, and the degree to which they are specific to difficulties with linguistic processing. Through this project, we are exploring audio-visual integration using the “marimba illusion” to inform treatments for a condition affecting roughly 1:125 individuals. 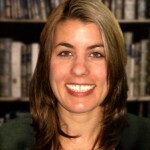 Dr. Jeanine Stefanucci (University of Utah) is a perception/cognition researcher collaborating to explore the effect of amplitude envelope on associative memory. This project examines the degree to which melodies built with percussive tones are more easily associated with everyday objects. Complimenting other lab projects on the role of amplitude envelope in perceptual tasks, this project broadens our research to explore higher level cognitive processing. Now published in the Quarterly Journal of Experimental Psychology (available through our publications page), these data hold important implications for the design of human-computer interfaces. 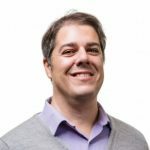 Dr. Guillaume Vallet (University of Montreal) is interested in Alzheimer’s disease, multisensory perception, and memory. He collaborated with MAPLE Lab during a visit to Dr. Shore’s multi-sensory lab, resulting in a novel exploration of how amplitude envelope influences judgment duration strategies. This research aims to explore the perceptual dichotomy between natural and synthetic sounds and increase our understanding of how different types of sounds influence what we perceive in the world. Our results now appear in the journal Perception (2014), and is available through publications page. For more information on Dr. Vallet’s, visit his website.